The UAW 2865, representing Grad students all across the UC system, does not have the best interests of its members in mind. Over the past year I have joined this union, fought for this union, dedicated countless hours to this union, made friends in this union, and watched as one by one these wonderful, radical people were manipulated, pushed to burnout, or otherwise silenced into alienation and disillusionment. I have watched the UAW prioritize itself over membership to the extent that basically every passionate and radical organizer who was a head steward when I joined has now resigned, and some have even revoked membership. Those who remain are admin sympathizers and/or career unionists who care not very much at all about actually winning good contracts. Our most recent contract doesn’t match inflation or account for skyrocketing rent. Policies and best practices were bent and circumvented all throughout the summer, and even now there are issues with due process and democratic measures not being followed. 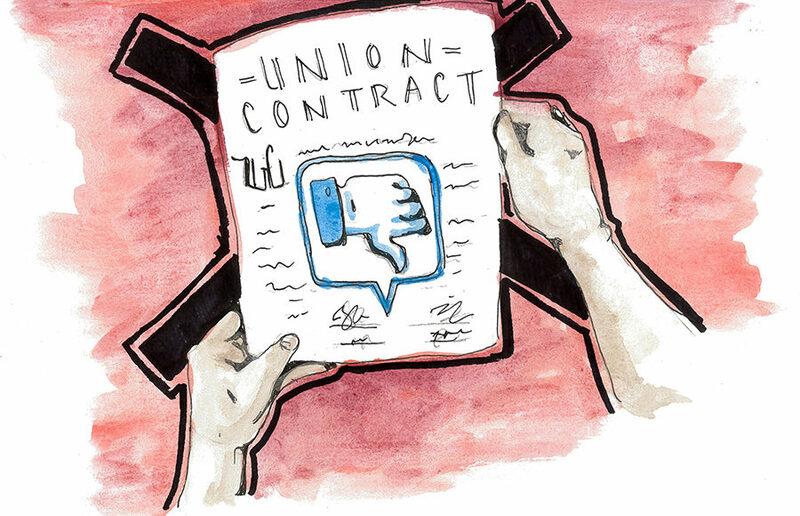 When the state level’s priorities clashed with on-the-ground membership, the paid organizers were used as paid pawns to push through a bad contract. Radical organizers are consistently dropped from list servs and not told about official meetings, and are otherwise silenced–and eventually, as the higher ups no doubt want, they take their organizing power elsewhere, or just burn out entirely. Below are a few articles for further reading. They explain better than I ever could, but I couldn’t witness what I have and not spread the word about what’s really going on. « A New Workers International is Born!